One University of South Carolina student hopes President Donald Trump will propose a new immigration policy that will both protect young immigrants like her and provide security to the United States. Her future rests with a new program for immigrant “Dreamers,” children brought to this country illegally while they were young. Maria Garcia has been in the United States since she was three years old when her mother carried her illegally across the Mexican border. To her, the Lowcountry town of Bluffton has always been her home. This is all she has known, this is all she remembers. 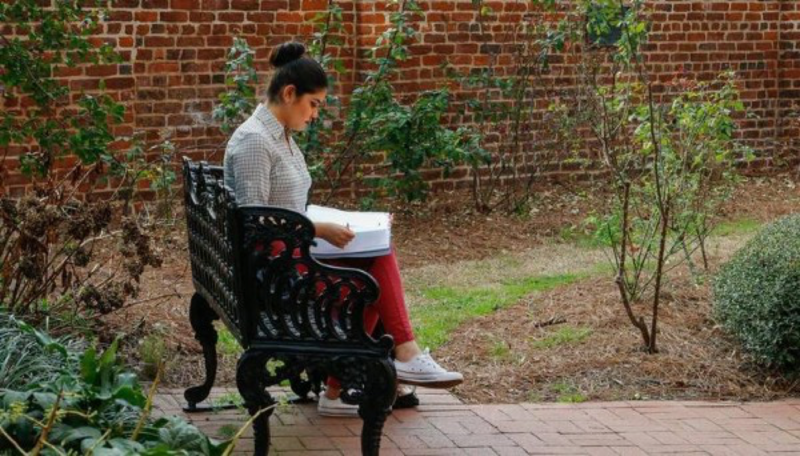 Now Garcia is a student at the University of South Carolina, protected, for the moment, by the Deferred Action for Childhood Arrivals (DACA) program, established to keep young, undocumented children from being deported. It was established by former President Barrack Obama under a 2012 executive order, but rescinded by President Trump in September, who urged Congress to come up with a more secure program to ensure the students called “Dreamers” are allowed to stay. The DACA program grants its user a worker’s permit. Although the permit does expire every two years, it could be renewed. Garcia is very proud to be apart of the program and with the final days of it near, she is hoping President Trump will implement a new law that will keep the program intact. For Garcia, being a student at the University of South Carolina under the protection of DACA is the American dream. Being able to attend a university in America has been an a joyous experience, but also an uphill struggle for her, because her future has not always been certain. Since then the program was put in place five years ago, it has protected over 800,000 immigrants in this country, allowing them to receive permits for work and protection from deportation, allowing many undocumented immigrants to continue living their lives here in America. One of the most important days in her life was when she received all the documents and papers of her DACA membership approval. Over the years, she has come to terms that the same opportunities that most people in this country have will not be available to her, but she has always remained optimistic that she will graduate from college. Trump’s order in September means that as of March 6 those brought to the country illegally as children will become eligible for deportation as their work permits and deportation deferrals begin expiring on a rolling basis. Garcia came to the United States from Mexico with her parents, hoping for a new start and new opportunities. Crossing the border takes days, but the preparation of crossing it may take months or even years. While her father decided to go alone for the trek, Maria and her mother decided to join him a year later. We MUST have strong borders and stop illegal immigration. Without that we do not have a country. Also, Mexico is killing U.S. on trade. WIN! As President Trump took down the program this year, the Justice Department now has officially stopped taking new applicants in as of early October. Garcia is relieved that she still has some time to make her next move. She has two years, but she knows she’s on borrowed time. She fears that his country has somewhat turned its back on her and wishes that people would understand. “For someone to say to go back to my country, or to go back to Mexico is like me going up to a random person and saying, ‘Hey, you’re going to go to this foreign country where, yeah, you may know the language, but you know nothing else about it, but let me send you back and you figure out your life from there.’ It’s very difficult to not be wanted in a place where you think you belong,” Garcia said. Right now, Congress plans on providing legislation that gives DACA applicants legal status. The plan is to provide similar experience and protection as the DACA program. Washington legislators are hoping to get legislation passed by the first quarter of 2018. So far, every piece of legislation sent for approval has been denied, but Garcia still expresses hope and determination that President Trump will make a more permanent plan that will benefit all immigrants on top of making this country safer. “I will say this though, even though he has taken (DACA) essentially, I like to think positive and I think what he’s trying to do is to try make it in Congress something that can become something more permanent, instead of just an executive order,” Garcia said.